Derrick Jewett, father, helps children carve a pumpkin at Oswego Head Starts Fall Fun Day. 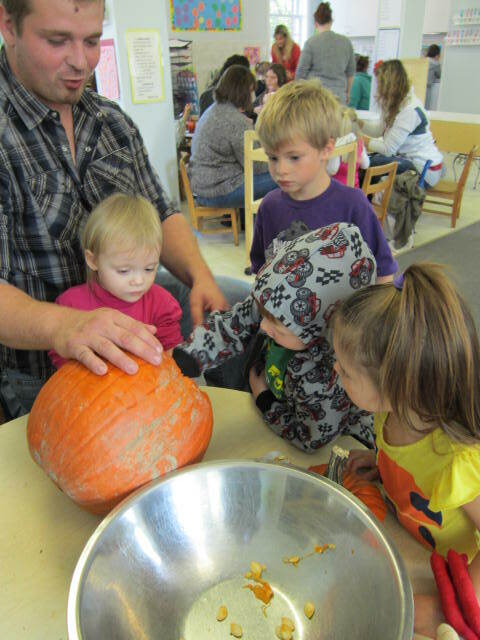 Children and parents explored pumpkins, painted with acorns and many more fall activities. For more information contact Head Start at 598-4711. Head Start Preschool is operated by Oswego County Opportunities, which is an agency of the United Way.